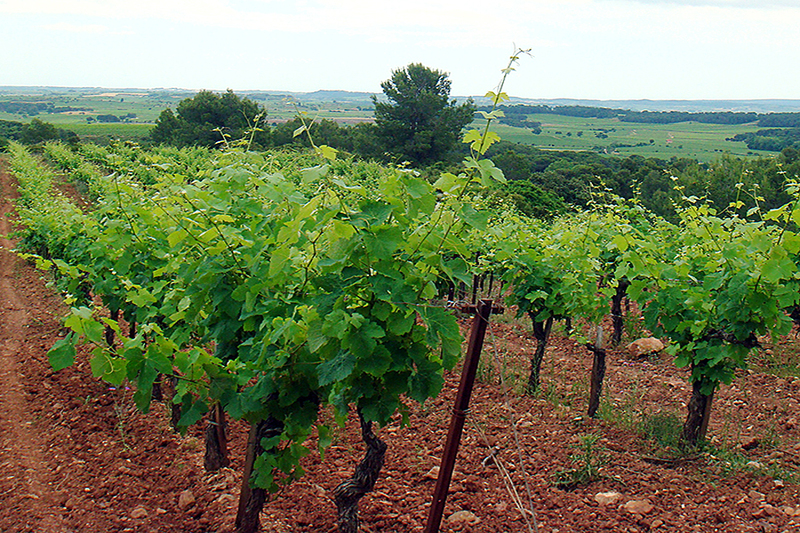 The vineyard is classed within the Appellation Saint-Chinian. Planted on slopes essentially facing to the south, the very stony soils are cultivated mechanically, with no use of herbicides. A respectful approach has been adopted as regards treatments, through a balanced use of traditional and modern techniques to ensure the healthy growth of vines and berries. The winery, installed in the old buildings, is partly buried, which ensures a natural regulation of temperature. Winemaking calls for the use of traditional equipment, doted when necessary for quality needs with more modern features. The property extends over 55 ha, of which 20 ha are today planted with vines. 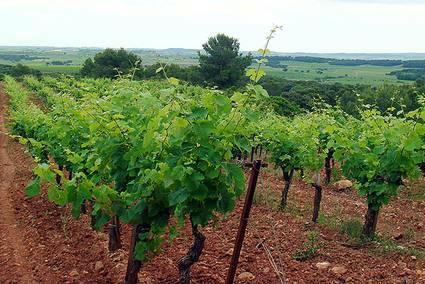 It is located at the heart of the garrigues, at varying altitude. 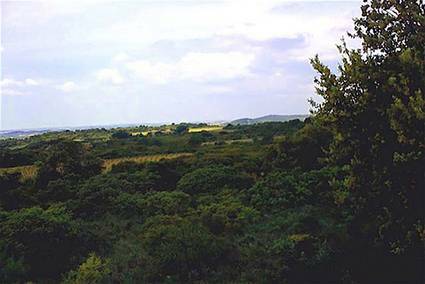 The vegetation is typical to the Languedoc region, comprising a mixture of woodland (pines and kernel oaks) and scrub (gorse, thyme, lavender, rosemary, cyst and strawberry-tree). This ancestral domain has been built up as a single holding, the vines just drawing their just share from the 'garrigues', fraying their way through the stones, absorbing the perfume of neighboring thyme, rosemary and lavender, to reveal the full expression of the 'terroir'. Picked by hand, the fruit comes to life in different qualities of wines, conserving a certain savoirfaire and affirming the personality of the wines. Click here to view our vineyards gallery. Click here to view our vinification gallery.